1. Korovina N. A., Zaplatnikov A. L., Zakharova I. N. Asiderotic anemias in children. Moscow. 1999. 56 pp. 2. Rumyantsev A. G., Tarasova I. S., Chernov V. M. Asiderotic states: the causes of development, diagnostics and treatment. Medical scientific and education-methodic journal. 2006; 34: 3–26. 3. Dallman P. R., Siimes M. A., Stekel A. Iron deficiency in infancy and childhood. Am. J. Clin. Nutr. 1980; 33: 86–118. 4. Looker A. C., Dallman P. R., Carroll M. D., Gunter E. W., Johnson C. L. Prevalence of iron deficiency in the United States. JAMA. 1997; 277: 973–976. 5. Feeding and nutrition of infants young children. Guidelines for the WHO European Region, with emphasis on the former Soviet countries. WHO Regional Publications, European Series, #87. WHO. 2000. Updated reprint 2003. 6. Osendarp S., Murray-Kolb L. and Black M. Case study on iron in mental development — in memory of John Beard (1947–2009). Nutr Rev. 2010; 68 (Suppl. 1): 48–52. 7. Baker R. D., Greer F. R. and The Committee on Nutrition. Clinical report — diagnosis and prevention of iron deficiency and irondeficiency anaemia in infants and young children (0–3 years of age). Pediatrics. 2010; 126 (5): 1040–1052. 8. Benoist B., McLean E., Egli I., Cogswell M. Worldwide prevalence of anaemia, 1993–2005: WHO global database on anaemia. Geneva: WHO. 2008. 9. Buchanan G. R. Screening for iron deficiency during early infancy: is it feasible and is it necessary? Am. J. Clin. Nutr. 2009; 89: 473–474. 10. Cotta R. M., Oliveira F. C., Magalhaes K. A., Ribeiro A. Q., Sant’Ana L. F., Priore S. E., Franceschini S. C. Social and biological determinants of iron deficiency anemia. Cad. Saude Publica, Rio de Janeiro. 2011; 2: 309–320. 11. Crary S. E., Hall K., Buchanan G. R. Intravenous iron sucrose for children with iron deficiency failing to respond to oral iron therapy. Pediatr. Blood Cancer. 2011; 56: 615–619. 12. WHO/NHD. Iron deficiency anaemia. Assessment, prevention and control: A guide for programme managers. WHO. 2001. 13. Igarashi T., Itoh Y., Maeda M., Igarashi T., Fukunaga Y. Mean haemoglobin levels in venous blood samples and prevalence of anaemia in japanese elementary and junior high school students. J. Nippon. Med. Sch. 2012; 79: 232–235. 14. Rivera J. A., Shamah T., Villalpando S., Monterrubio E. Effectiveness of a large-scale iron-fortified milk distribution program on anemia and iron deficiency in low-income young children in Mexico. Am. J. Clin. Nutr. 2010; 91: 431–439. 15. Gorodetskiy V. V., Godulyan O. V. Asiderotic states and asiderotic anemia: a treatment and a diagnostics. Moscow: Medpraktika-M. 2008. Pp. 1–27. 16. Zakharova N. O., Nikitin O. L. Asiderotic anemias in elderly and senile patients: a handbook for doctors. Samara. 2008. 60 pp. 17. Zhu Y., Liao Q. Prevalence of iron deficiency in children aged 7 months to 7 years in China. Zhonghua Er ke Za Zhi. 2004; 42 (12): 886–891. 18. Corapci F., Calatroni A., Kaciroti N., Jimenez E., Lozoff B. Longitudinal evaluation of externalizing and internalizing behavior problems following iron deficiency in infancy. J. Pediatr. Psychol. 2010; 35 (3): 296–305. 19. Zhu A., Kaneshiro M., Kaunitz J. D. Evaluation and treatment of iron deficiency anemia: a gastroenterological perspective. Dig. Dis. Sci. 2010; 55: 548–559. 20. Angulo-Barroso R. M., Schapiro L., Liang W., Rodrigues O., Shafir T., Kaciroti N., Jacobson S. W., Lozoff B. Motor development in 9-month-old infants in relation to cultural differences and iron status. Dev. Psychobiol. 2011; 53: 196–210. 21. Cotta R. M., Oliveira F., Magalhaes A., Ribeiro A. Q., Sant'Ana L. F., Priore S. E., Franceschini Sdo. C. Social and biological determinants of iron deficiency anemia. Cad. Saude Publica, Rio de Janeiro. 2011; 27 (Suppl. 2): 309–320. 22. Hay G., Sandstad B., Whitelaw A., BorchIohnsen B. Iron status in a group of Norwegian children aged 6–24 months. Acta. Paediatr. 2004; 93 (5): 592–598. 23. Rumyantsev A. G., Tokarev Yu. N. Anemias in children: diagnostics, differential diagnostics, treatment. Issue 2nd, added and edited. Moscow: MAKS-Press. 2004. 216 pp. 24. Malakhovskiy Yu.Ye., Manerov F. K., Sarycheva Ye. G. Mild form of asiderotic anemia and latent iron-deficiency — borderline states in children 0–2 years old. Pediatriya. Zhurnal imeni G. N. Speranskogo — Pediatrics. 1988; 3: 27–34. 25. Pavlov A. D., Morshchakova Ye. F., Rumyantsev A. G., Pavlov A. D., Morshchakova E. F., Rumyantsev A. G. Erythrogenesis, erythropoietin, iron. Moscow: GEOTAR-Media. 2011. 304 pp. 26. Lozoff B., Jimenez E., Smith J. B. Double burden of iron deficiency in infancy and low socioeconomic status: a longitudinal analysis of cognitive test scores to age 19 years. Arch. Pediatr. Adolesc. Med. 2006; 160 (11): 1108–1113. 27. McCann J. C., Ames B. N. An overview of evidence for a causal relation between iron deficiency during development and deficits in cognitive or behavioral function. Am. J. Clin. Nutr. 2007; 85 (4): 931–945. 28. Green R. Anemias beyond B12 and iron deficiency: the buzz about other B’s, elementary, and nonelementary problems. Hematology. Am. Soc. Hematol. Educ. Progr. 2012; 2012: 492–498. 29. Domellof M., Hernell O. Iron-deficiency anaemia during the first two years of life. Scand. J. Nutr. 2002; 46 (1): 20–30. 30. Riggins T., Miller N. С., Bauer P. J., Georgieff M. K., Nelson C. A. Consequences of low neonatal iron status due to maternal diabetes mellitus on explicit memory performance in childhood. Dev. Neuropsychol. 2009; 34 (6): 762–779. 31. Janus J., Moerschel S. Evaluation of anemia in children. Am. Family Physician. 2010; 81 (12):1462–1471. 32. Rosado J. L., Gonzalez K. E., Caamano M., Garcia O. P., Preciado R., Odio M. Efficacy of different strategies to treat anemia in children: a randomized clinical trial. Nutr. J. 2010; 9: 40. 33. Carter R. C., Jacobson J. L., Burden M. J., Armony-Sivan R., Dodge N. C., Angelilli M. L., Lozoff B., Jacobson S. W. Iron deficiency anemia and cognitive function in infancy. Pediatrics. 2010; 126 (2): 427–434. 34. Gibson R. S., Kafwembe E., Mwanza S., Gosset L., Bailey K. B., Mullen A., Baisley K., Filteau S. A micronutrient-fortified food enhances iron and selenium status of Zambiani infants but has limited efficacy on zinc. J. Nutr. 2011; 141 (5): 935–943. 35. 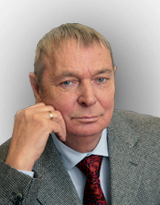 Rumyantsev A. G., Korovina N. A., Zakharova I. N., Chernov V. M. Diagnostics and treatment of asiderotic anemia in children. Moscow. 2004. 48 pp. 36. Malova N.Ye. Clinical and pathogenetical basis of differentiated therapy and prophylaxis of asiderotic anemia in infants. Author’s abstract thesis. Moscow. 2003. 25 pp. 37. Erichsen K., Ulvik R. J., Grimstad T., Berstad A., Berge R. K., Hausken T. Effects of ferrous sulphate and non-ionic iron– polymaltose complex on markers of oxidative tissue damage in patients with inflammatory bowel disease. Aliment. Pharmacol. Ther. 2005; 22: 831–838. 38. Zakharova I. N., Zaplatnikov A. L., Malova N.Ye. The choice of iron-containing drugs for treatment of asiderotic anemia in children. Russian medical journal. 2003; 11 (1): 38–41.